To be truly successful in your career or position, you need to be clear about what your professional development goals are. On the face of it, that seems like simple advice. 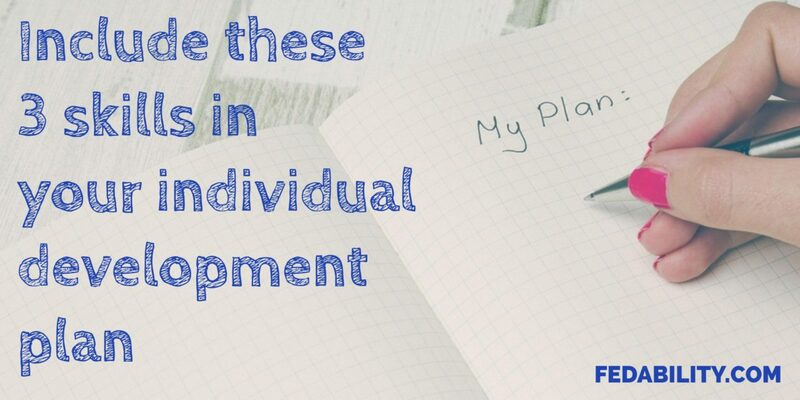 Until you sit down to actually create your individual development plan (IDP). Then you’ll find it’s a little more challenging than it seems. Often times the IDP turns into a wish list of training. But if you want to meet your development goals, you have to be more strategic. 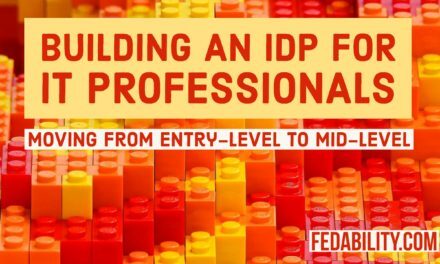 To get you thinking your IDP more strategically, I wanted to offer you some guidance on three components of a solid IDP. These skills or focus areas are: technical, professional, and problem-solving. According to OPM, an individual development plan is a tool to assist employees reach short and long-term career goals. It is also intended to improve current job performance. OPM is clear to state that an IDP is not a performance appraisal tool. This last part is important because employees sometimes worry that if they discuss their development goals, their supervisor will think they are unable to do their jobs. That said, an IDP built with supervisor input is a good opportunity for them to set expectations. What are professional or career goals? In short, career goals are what you want to accomplish in the short and long term. Udemy offers examples of career goals such as wanting to get a promotion or wanting to move into a management role. These goals are yours to decide. For further information about potential career goals and professional development suggestions, take a look at my prior articles on The Climber, The Satisfied, The Drifter, and The SES-Hopeful. 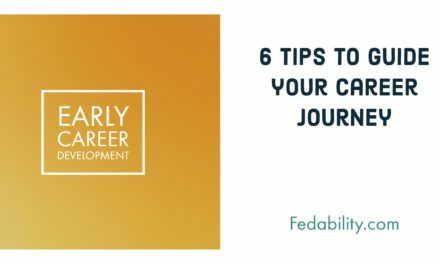 Or, check out 6 tips for early career development. What are professional development goals? Think of professional development goals as way-points on your way to achieving your career goals. As you complete each development goal you are increasingly closer to accomplishing whatever career goal you set. At this point, you might be thinking, “Ok, I’ve got my career goals. How do I decide what my professional development goals are?” I propose you include three components to your goals. These goals should focus on building technical, professional skills, and problem-solving skills. The biggest mistake I see in IDPs are that they focus on one or two areas and entirely exclude others. Technical skills are what you need to be able to do your job. They will vary based on your particular job. For instance, if you are in IT or cyber-security, you may need technical skills in computer network defense. If you are in grants management, the technical skills you need will be more like financial analysis or knowledge of grants management laws, regulations, and guidelines. These skills are ones that define you as a professional. How well do you manage your time? 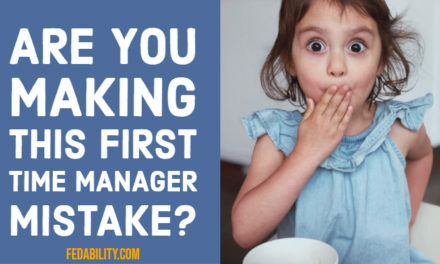 Are you good at managing conflict? Do you write concisely and clearly? Can you put together a briefing that flows? How well do you do with public speaking? As you can see, professional skills are those things that make you more effective and more efficient. They make you better at using your technical skills to their fullest. No matter how strong you are technically. No matter how dynamic you are in front of a crowded room. You will be faced with complex, unprecedented, and unexpected situations. Your ability to adapt and respond when things do not go as planned is a problem-solving skill. Typically, as you increase your expertise technically, your ability to develop this skill will become more important. How do I know what to put into my IDP? 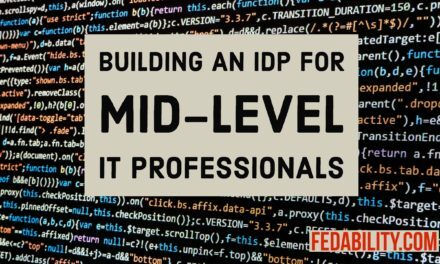 Now that you know the three skill types to include, it’s time to start putting together your IDP. There’s a number of sources of information that will help you. Self-reflection. Taking an honest look at what you need to do better. Consider your current skill level in a particular area. Supervisor feedback. Asking your manager what skills they recommend you add to your plan. Others’ feedback. This might include a 360 degree assessment or it may be asking a trusted colleague what they’d recommend. Competency models for your position. Competencies are clusters of skills that are required for your position. Your agency may have one for your position already, or you can check the OPM website for preexisting models such as cyber security, grants management, financial management, and senior executive service (SES). Competency models for your desired position. You’ll notice in the competency models I referenced above, the needed skills are broken out by grade level. So, if you want a promotion to the next grade, you’ll want to look at what skills are needed. Interviews. Schedule some time with people that you admire. Ask them which skills they think are critical to their own success. What else do you think is important to include in an IDP to meet someone’s professional development goals? If you’re early in your career, check out our post on 6 tips for managing your career journey. You might also be interested in our post debunking classroom training as the best tool for developing employees.